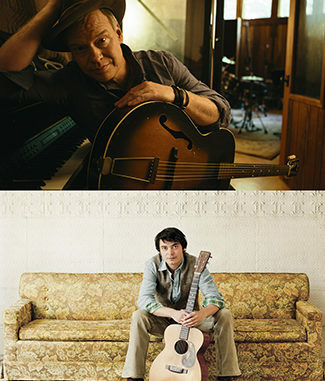 After a series of indie record releases, Shawn Mullins’s critical breakthrough came when 1998 Soul’s Core album shot him to fame on the strength of its Grammy-nominated No. 1 hit, “Lullaby” followed by AAA/Americana No. 1 “Beautiful Wreck” from 2006’s 9th Ward Pickin’ Parlor. His song, “Shimmer,” was used in promotion of the 2000 Summer Olympics in Sydney and was included on the Dawson’s Creek soundtrack. He co-wrote “All in My Head” which was featured in episode one of the hit TV sitcom “Scrubs.” Mullins also co-wrote the Zac Brown Band’s No. 1 Country tune “Toes.” In early 2002, he formed the super group The Thorns with Matthew Sweet and Peter Droge. Mullins most recent album, My Stupid Heart, was released in 2015, the theme of which, Mullins says, can be summed up most succinctly by the song title, “It All Comes Down To Love,” the guiding force behind just about every song on the album. Though still only in his twenties, Max Gomez has always had the heart of an old soul. As a child, the first songs he learned to sing were originally recorded in the 50s by Johnny Cash. As a teenage guitarist he adopted Big Bill Broonzy as his blues master. And as a budding performer, he apprenticed in the rarefied musical climate of northern New Mexico, where troubadours like Michael Martin Murphey and Ray Wylie Hubbard helped foster a folk and Western sound both cosmic and cowboy. Gomez represents more than the sum of his influences—he’s got that ineffable and instantly recognizable x-factor called talent. Melodies that flow naturally. Trenchant lyrics that express wise-beyond-his-years observations on the ways of the heart. Laconic phrasing in a cafe mocha timbre, and guitar skills that can stand alone. In short: the whole package.